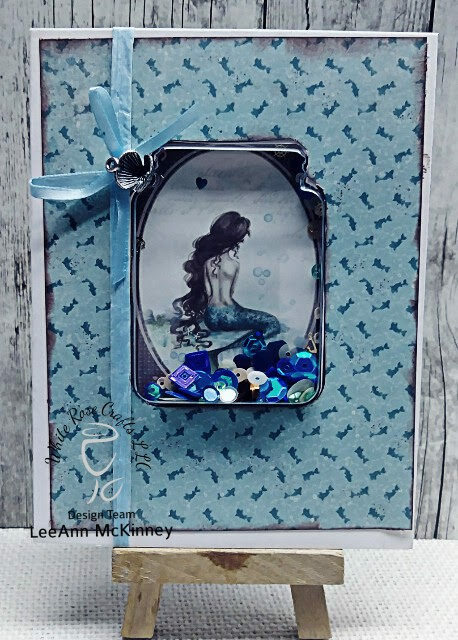 Greetings friends and fellow crafters, LeeAnn here with the unboxing video and first two projects for the new August 2018 White Rose Crafts Card Kit "Legends of the Sea". Unfortunately my paper shifted when I cut the jar out of the topper to fit over the shaker element, I did not realize it until I stuck it down to the base :( However for this card I used the shaker card base from the kit, some of the sequins from the kit and one of the cut apart panels from the 12x12 sheet. I attached some of the blue raffia and the clam shell charm, with a blue bow from my stash. For this project I used the kraft card base from the kit, die cut a part of a 6x6 panel, and a sentiment from the 12x12 sheet. 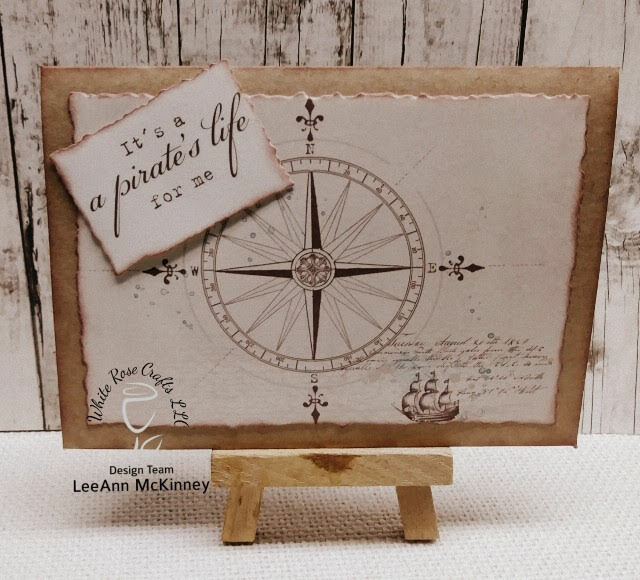 I used a set of distress look dies from Sizzix and thought they were perfect to get that old map look. I used the brown Scrapberry ink to ink up the edges on both cards. Thank you for checking out my cards, and visiting my blog. 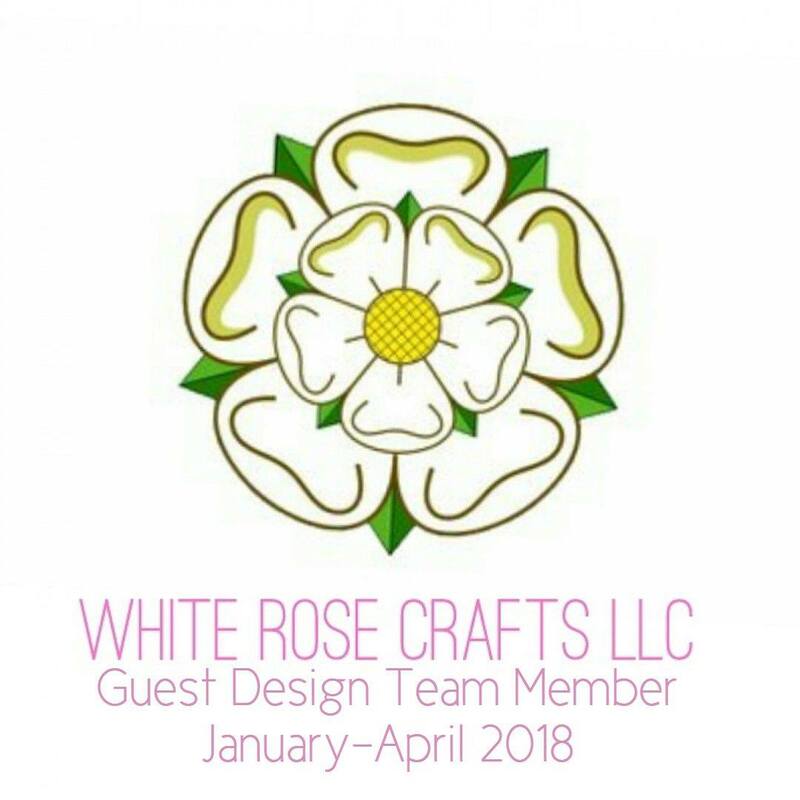 I really have a great time each week making and sharing my projects with you. You can purchase the kit here!! !